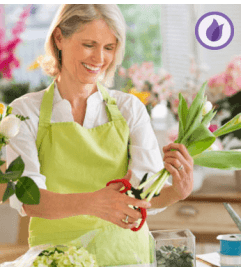 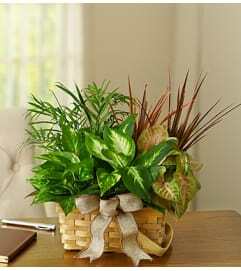 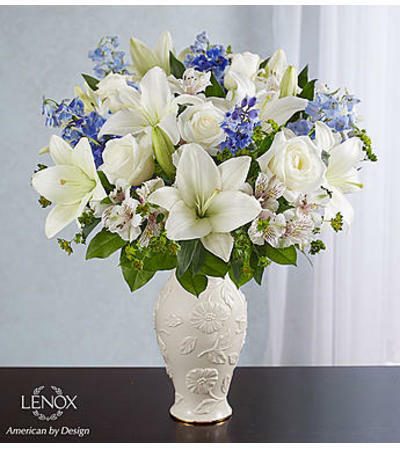 Offer heartfelt comfort and support with our Loving Blooms™ bouquet. Heavenly blue and white flowers are artistically arranged inside our exclusive Lenox® porcelain vase. 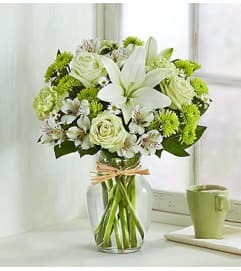 The touching keepsake features an exquisite raised floral design and a 24 karat gold trim at the base for a beautiful expression of your sympathy.